Congratulations are in order! Whether you’re a real estate rookie or a tenured home buyer, we’re here to help you through this exciting process. Educators defined as a person who holds a Florida teaching certificate or who is employed as a Professor, Assistant Professor, Associate Professor, Instructor or Adjunct Professor with a college/university. Medical Professionals defined as Physicians (MD, DDS, DMD, OD, DPM, DO or RPH), Nurses (RN, BSN, MSN, APRN or NP) or Medical Administrator. Members can select to use the credit union's closing cost credit program when purchasing or refinancing their primary residence. The credit union will give a closing cost credit of up to 1.5% of the loan amount to assist members with their closing costs. The credit union will not cover discount points to obtain a lower rate, property taxes or homeowner's insurance. Additionally, if the loan is repaid within 24 months the assistance must be repaid. *Only available on adjustable rate mortgage (ARM) products. Payment example with 4.797% APR: APR is calculated using a $400,000 loan amount, with a 4.75% interest rate on a 30 year mortgage. Estimated closing costs and prepaid items on this $400,000 loan would be $8,240 with a monthly payment of $2,085.74. 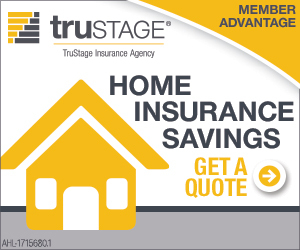 1Limited time offer of .25% rate discount includes a .125% discount for using CU Realty’s HomeAdvantage program and a .125% discount for having a direct deposit of $500 or more a month into a USF FCU account. Using HomeAdvantage is not a requirement to receive the .125% direct deposit discount. Your APR will not be lower than 3.5% APR. 3FICO® is a registered trademark of Fair Isaac Corporation in the United States and other countries. FICO® Score provided to Primary Member with an eligible USF FCU loan.